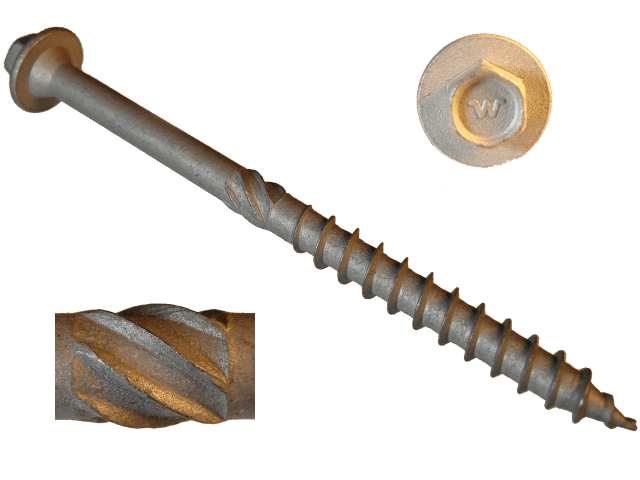 These reusable, heat-treated and hardened gray structural screws install faster and easier than spikes and have much greater holding power. For use with large timbers, logs and in landscaping applications. All of our Gray Structural screws have a 5/16" Hex Head. Knurled shank to make driving easier. 5/16" tapered self-countersinking hex head.